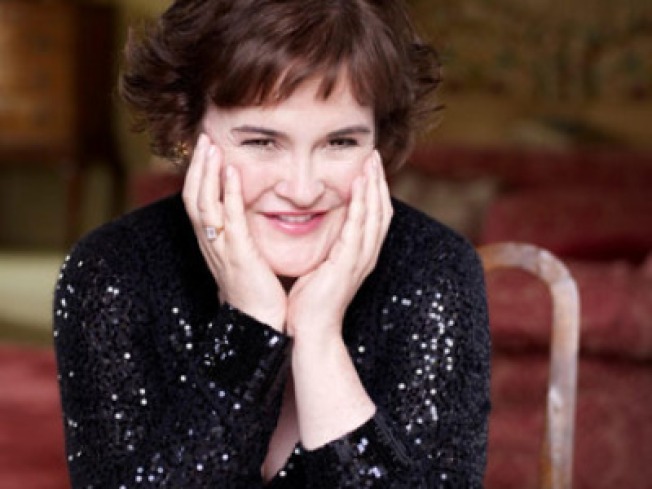 Scoop: Susan Boyle Says Fame "Can Flatten You"
Susan Boyle said the media used to hound her 24/7. Susan Boyle’s publicity train is back on track. The Scottish singer is addressing her difficulties with sudden fame before she performs on “Dancing With The Stars” in Los Angeles later this week. Boyle also discussed the final week of the show, when she lost to dance act Diversity, and ultimately was hospitalized for exhaustion. On “Dancing With the Stars,” Boyle is expected to perform a song from her debut album, “I Dreamed a Dream,” which will be released Nov. 24. Although Kate Hudson dutifully cheered on boyfriend and Yankee slugger Alex Rodriguez during his team’s playoff season, her support ended abruptly hours after the Yankees won the World Series. Hudson, Rodriguez and several teammates headed to New York nightclub 1Oak to celebrate, and Hudson, was among the first to leave. “She left around 2 a.m., and looked pissed,” said an eyewitness. Her sudden departure didn’t phase A-Rod, though. “He stayed until 5,” said the source. A&E reality show miniseries “The Jacksons: A Family Dynasty” is scheduled to premiere Dec. 13. Although the network has said that the show focuses on brothers Jackie, Jermaine, Tito and Marlon as they prepare to reunite for a concert tour, the series will also examine the Jackson brothers’ lives in the days and weeks after Michael died. The A&E cameras were the only cameras permitted to film Michael Jackson’s private memorial service, according to family members. The network’s plan is to air six, one-hour back-to-back episodes. It’s not clear yet if Michael’s three children will appear in the series. Even though Disney’s new big-budget release, “A Christmas Carol,” came in No. 1, it only made $31 million its opening weekend at the box office. This falls short of Disney’s estimates, which were nearer to $40 million. And considering “A Christmas Carol” ran with an increased ticket price because of 3-D premiums in some theaters, the take is even more disappointing. George Clooney and Cameron Diaz also had tough weekends; their films, “The Men Who Stare at Goats” and “The Box,” came in Nos. 3 and 6 respectively. The biggest buzz is around Oscar-hopeful “Precious.” It only played in 18 theaters, but is expected to make $1.7 million.